J.W. Elliott was a popular composer of the Victorian period, and is best known for his nursery rhyme music and for his work on hymnals in the 1870s. He was born James William Elliott, in Warwick, England, on February 13, 1833.As a child, he sang as a chorister in the Leamington Parish Church. In those days, choristers were given lessons in all facets of church music, including organ lessons, counterpoint studies, and more in exchange for providing an extraordinary level of service to their parish church (services throughout the week, all holidays, extra services, etc.). The result is that most choristers who completed their studies received an excellent music education, and James was no exception. After starting his career as an organist and choirmaster for a countryside church, his talent became obvious. He moved to London, where he assisted Sir Arthur Sullivan (of Gilbert and Sullivan fame) in editing Church Hymns. In addition, James worked for a music publisher. His compositions include two operettas, numerous anthems, service music, works for instruments including the very popular harmonium, and most particularly for Nursery Rhymes and Nursery Songs, his children’s music score that sets many of the Nursery Rhymes to delightful music. Several of his hymn tunes are still in use today in many hymnals, most notably his hymn tune “Day of Rest.” He was heavily involved in the preparation of the musical edition of Church Hymns in 1874, the Choral Service Book of 1892, and transcriptions of hymn tunes using harmonies different than the traditional ones found in hymnals. He died in St. Marylebone, London, on February 5, 1915. 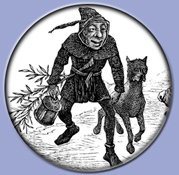 It is requested that visitors to this site who have additional information about Sir J.W. Elliott kindly forward it using the contact information, or by mail, if you prefer. 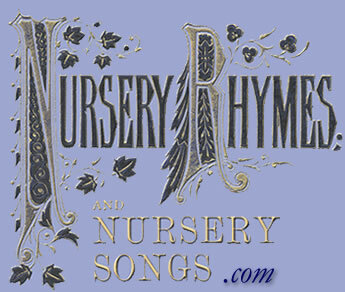 For more information on the history of nursery rhymes, click here.